For this review, we’re going to focus on one out of six of the Grandville’s Gourmet BBQ sauces – their Pineapple Jam – but we’re sold on the big flavor, great texture, and overall taste and quality they all bring to the plate. 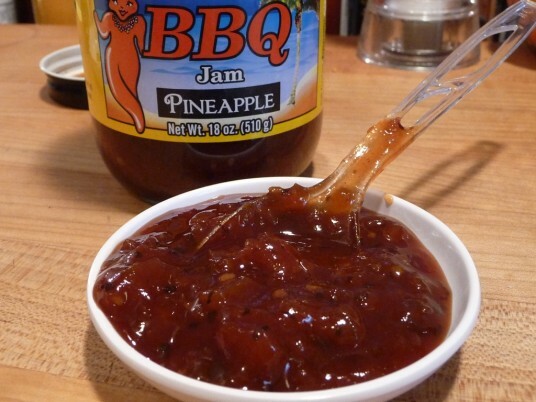 Not only is that saying something, it’s probably the only BBQ jam on the planet. Here’s a toast to great marketing! First – let’s talk about the sauce straight up. 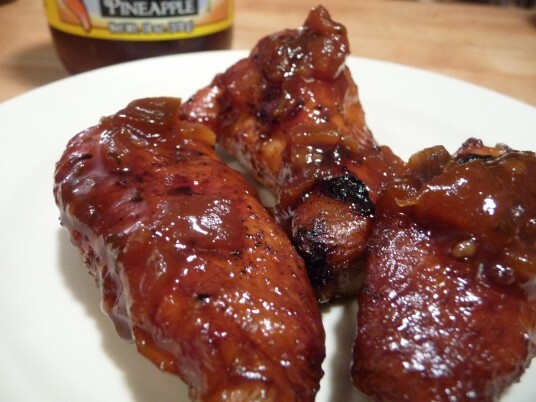 Thick, rich, flavorful – with a nice sweet and fruity hit of pineapple. A peppery flavor is up front, followed by a fairly traditional tomato based BBQ sauce flavor – then the pineapple kicks in. It’s a nice touch that the pineapple pieces are the predominant chunks in the sauce. Four out of the first 5 ingredients are really bringing on the sweetness (I prefer a sweet side to BBQ), and most of the rest are adding some really nice savory flavors. We prepped our MOINK balls the usual way, thawed out some frozen meatballs to make the toothpick insertion easier, and in this case dusted them with Eric’s Wicked Seasoning – a Fiery & Feisty unique blend of herbs and spices. Since it was too cold and windy outside to grill, this was our first attempt at making MOINK balls in the oven. Spoiler alert! They were fine – if not just as good as grilled or smoked. Jalapeño Poppers with a BBQ Glaze? Why not! Our preferred method of eating jalapeño poppers is with a pepper jelly glaze, but this time we’re doing them with the Pineapple Jam from Grandville’s BBQ. 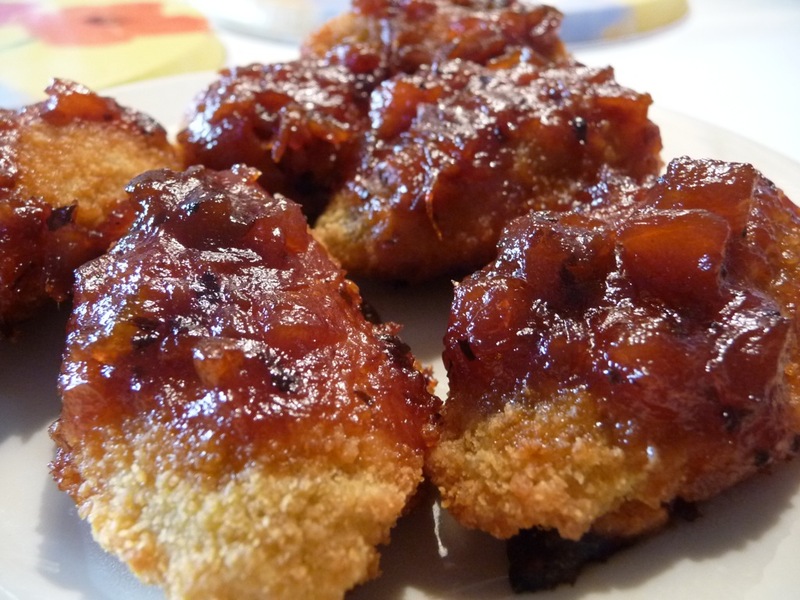 It was thick and rich on the poppers… I still wanted to swipe the poppers thru a thin, hot sauce, but the Pineapple Jam made for some great, sticky, delicious snacks. The thick Pineapple Jam clung well to the wings. They were sweet and sticky, but I craved more heat. Next time I will try adding some hot sauce (perhaps a sweet/hot sauce like Georgia Peach Vidalia Onion hot sauce, or Dragonfire’s Pineapple Habanero hot sauce. 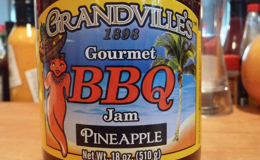 We’ll be reviewing the other Grandville’s BBQ Jams in the future, but for now you can visit GrandvillesBBQSauces.com to get your own! Also, be sure to listen to our interview with Steve Gerst of Grandville’s BBQ Sauces on our Hot Sauce Weekly Podcast. 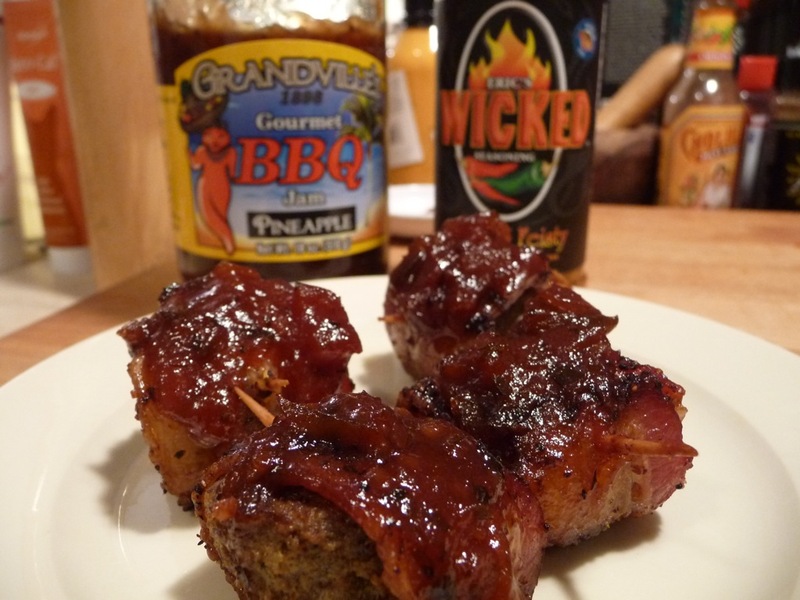 Have you tried any Grandville’s BBQ Sauces? Let us know in the comments. I do love me pineapple, but the lack of heat makes me want to hear about their Extra Spicy first before buying any. Thanks for sharing.